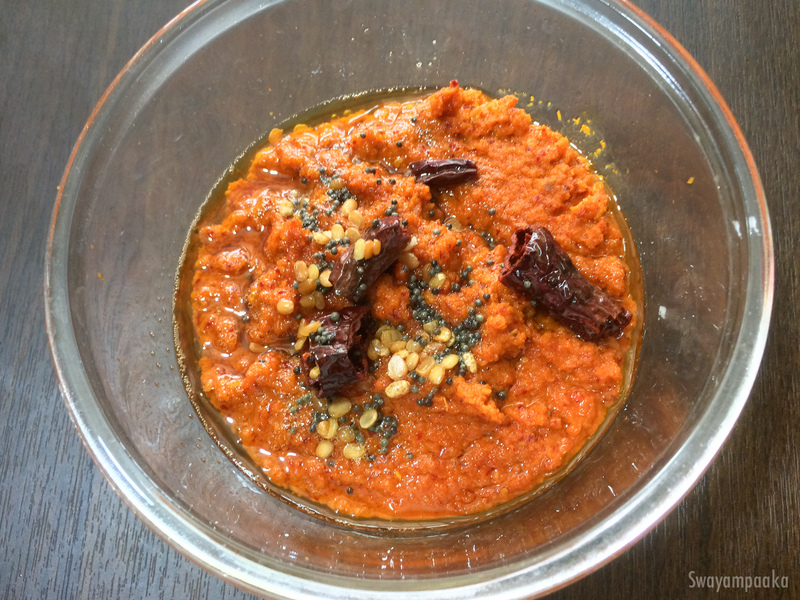 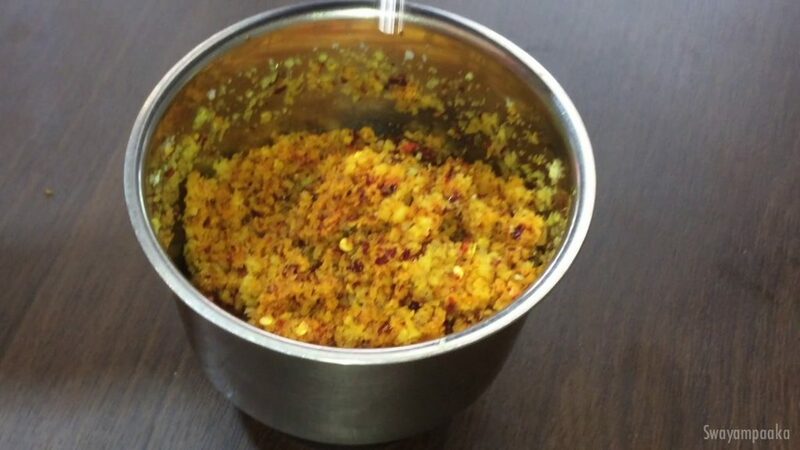 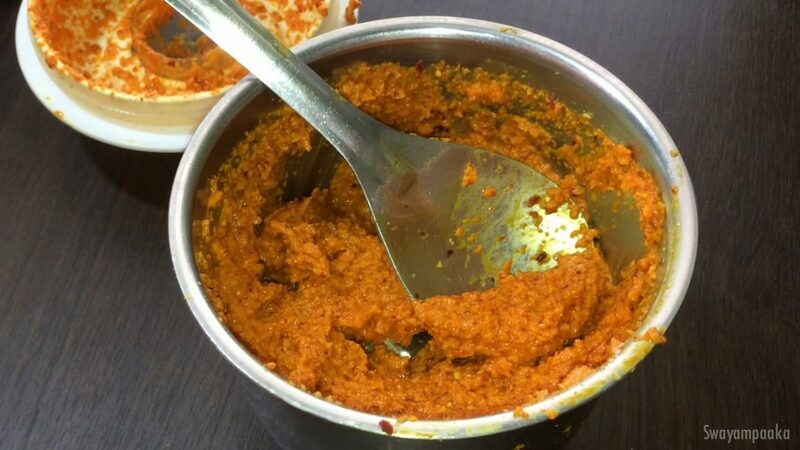 Turmeric Root Chutney or Arishinada berina chutney -detailed Video recipe and step by step picture recipe . 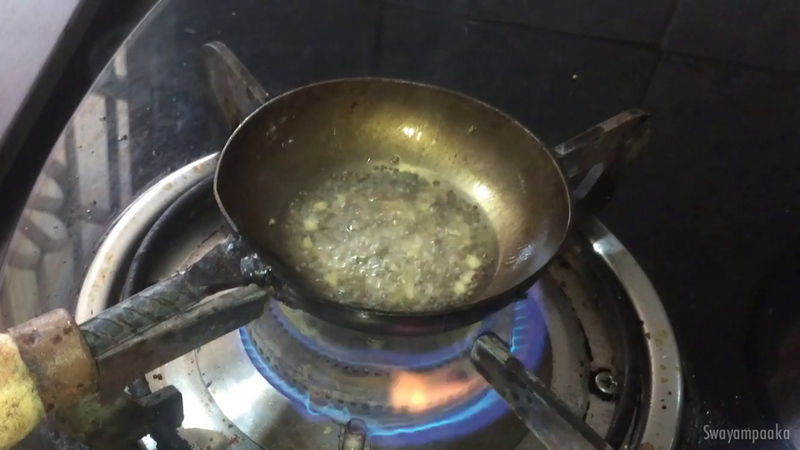 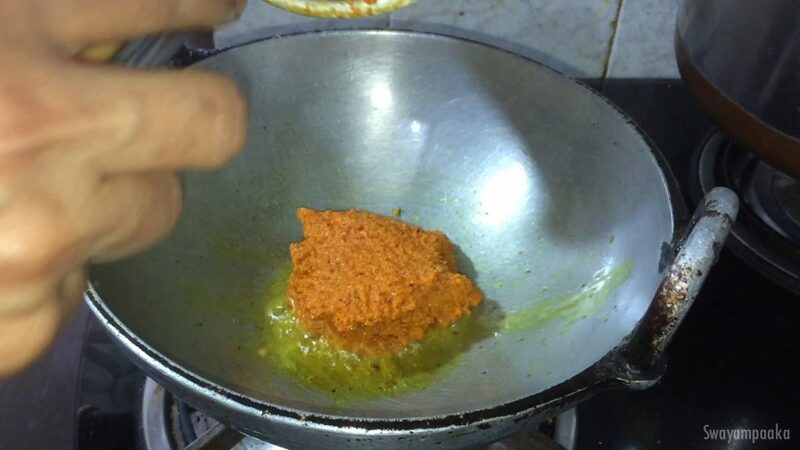 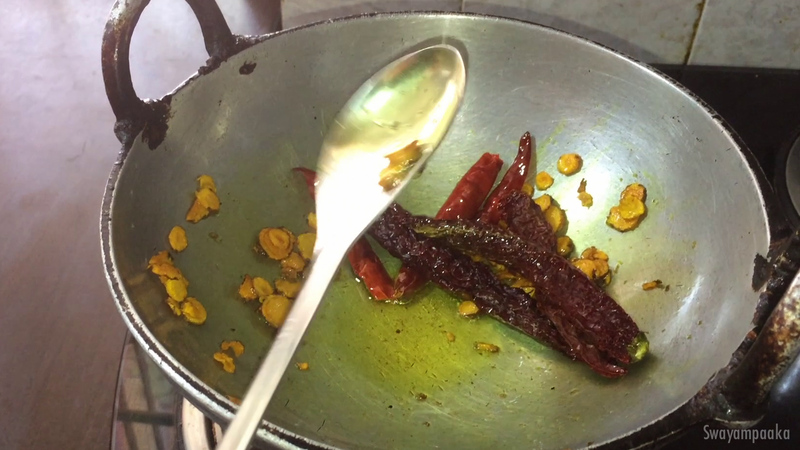 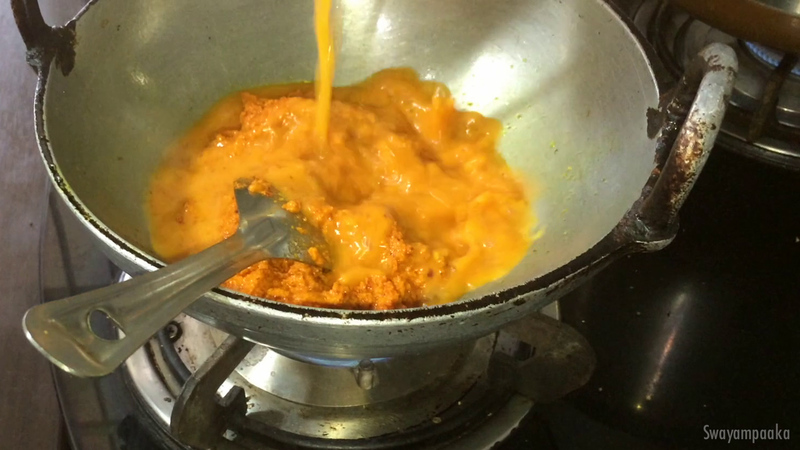 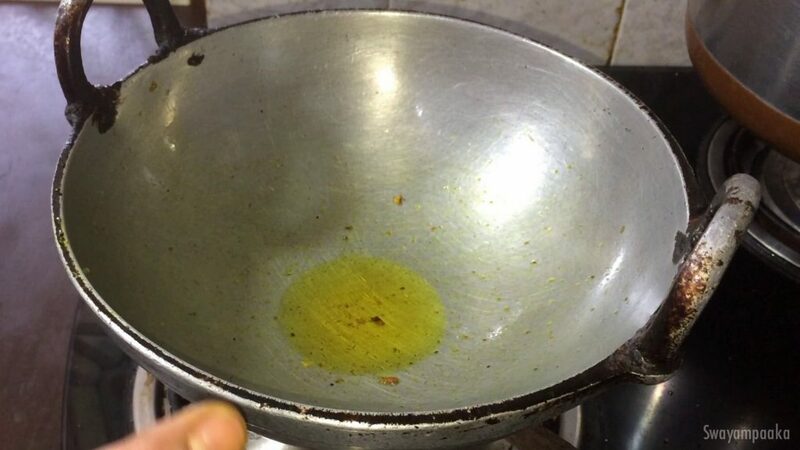 After it cools completely transfer turmeric root and chillies to a mixer jar, leave the oil in the pan itself. 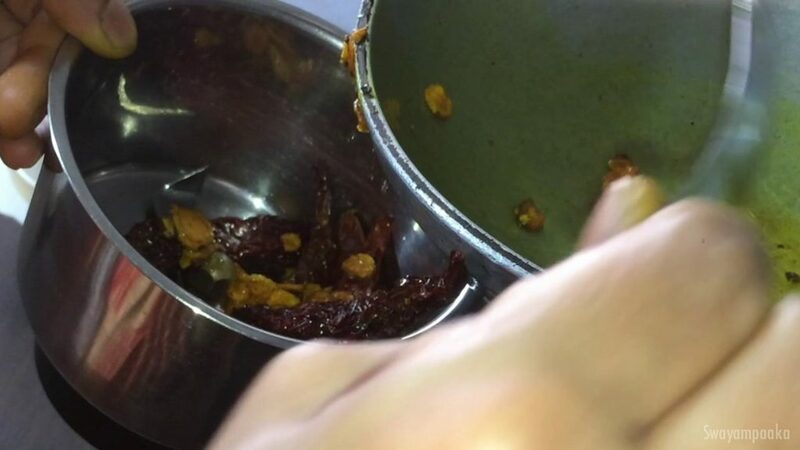 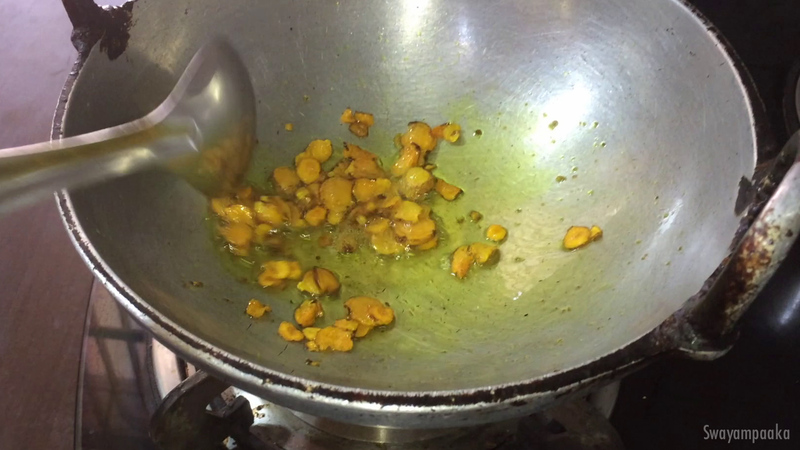 add tamarind, jaggery, salt and coconut to the mixer jar, Grind it along with the fried root and chillies without adding water first. 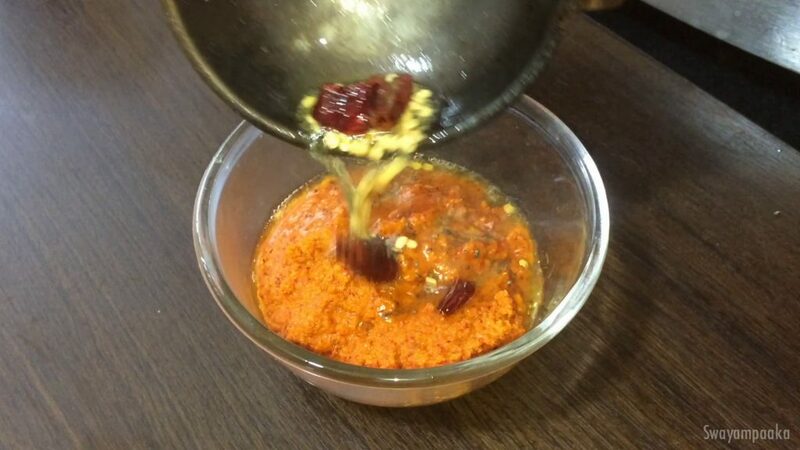 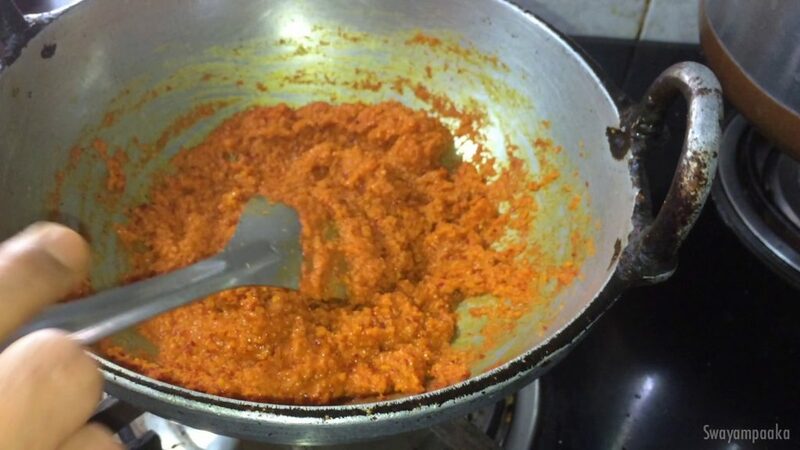 add this chutney, for 3 to 4 minutes and turn off the heat. 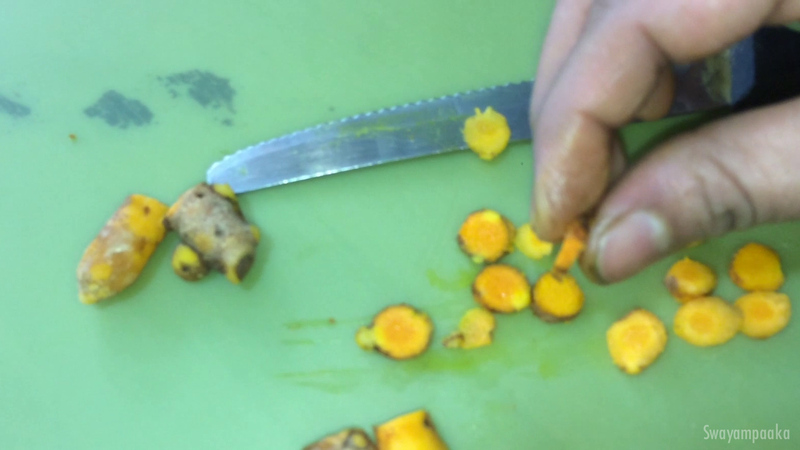 This is called Turmeric root gojju. 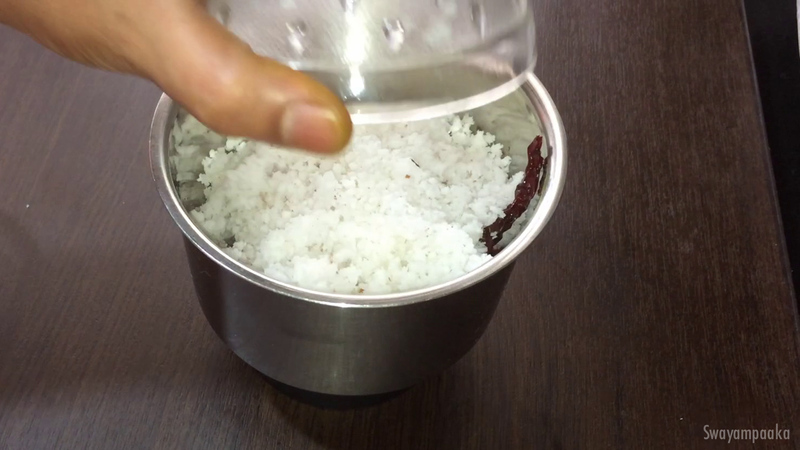 and turn off the heat. This is called Turmeric root gojju.